In my 20 or so years in the south, I’ve learned that when a southerner says “Bless your heart” — it’s not good. It’s actually really, really bad. Southerners use that phrase when there is so much wrong with someone or something that they can’t even begin to put it to words. 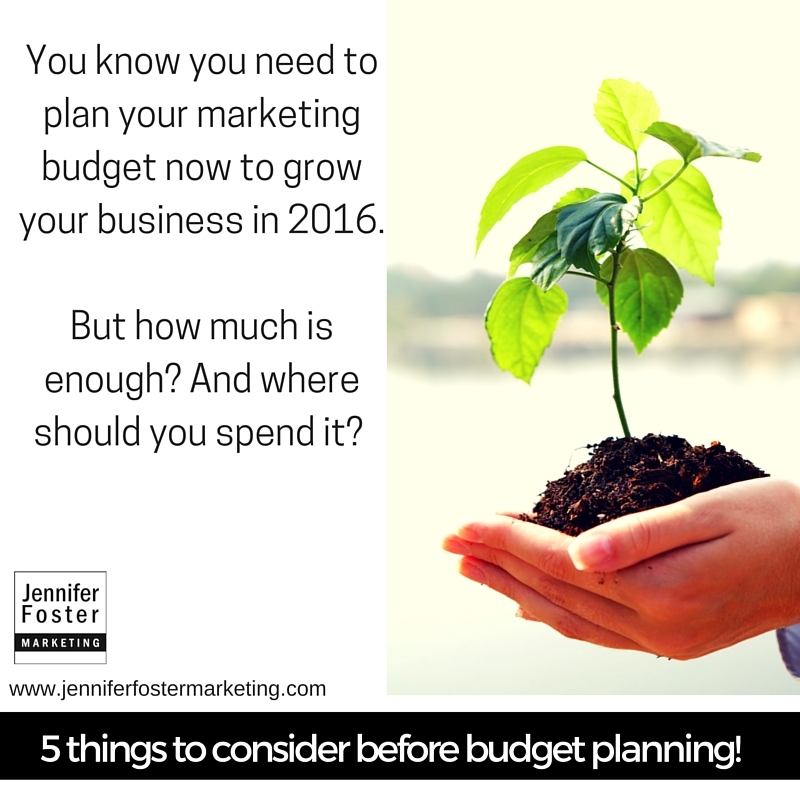 Media planning requires just that: Planning. 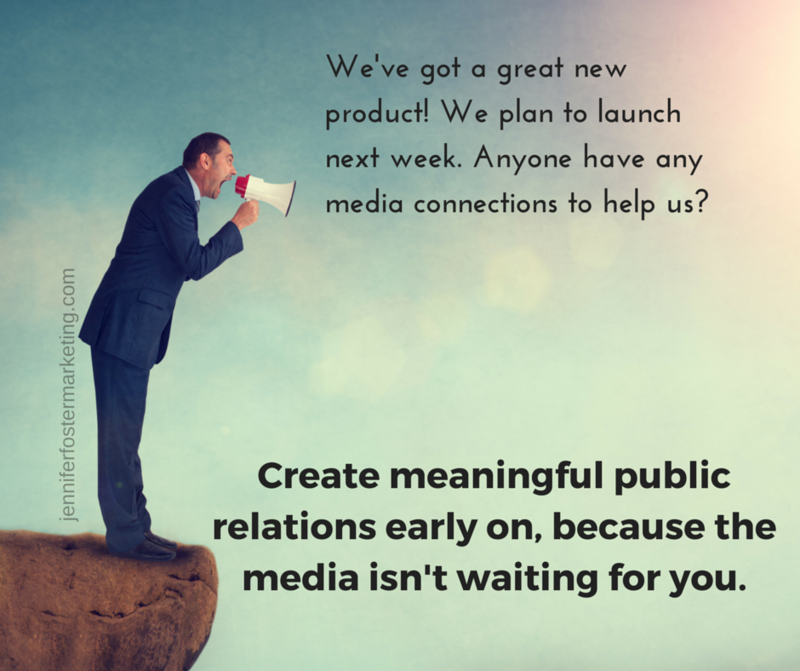 So how should a young company start engaging the media before launch? One of my current clients has a solid client-base, but they’re looking to implement some new marketing for the first time, going heavier on the social media/PR to gain some growth. Here’s a quick sketch of how we’re putting a plan together. 1. Find your fans — Your first step should be to go connect on social media with EVERYONE you know — this is especially helpful if you’ve been active in the DFW or local start up scene or, if you, like my client have an existing base. Connect with those you know already like you. 2. Make new fans — Social media makes it easy to find people who talk your talk, whatever that talk is. Go find them. 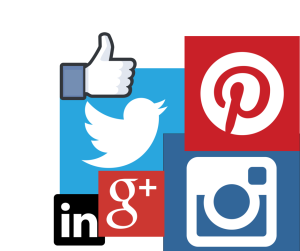 Use your hashtags, use your search, use Google search and find social media connections from web sites. Just build your connections and include your media targets. Start introducing yourself to them NOW! 3. 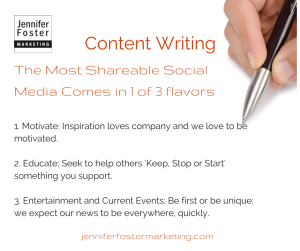 Share useful content — I did a post a few months ago about how to develop social media content (if you missed it read it here.) For the first month or so of my jumping into Twitter I didn’t have ANY original content (because I didn’t know I needed it, but that’s another story). I simply shared and retweeted and used my web site content. Guess what? It worked. It won’t work forever, but while you’re finding and making your fans, it’s great. 6. Do your research — Once you’ve identified the media coverage you want, you need to READ THEM. More importantly, engage with them. From the comfort of your couch you can reply to their tweets, comment on their blogs, share their FB posts. I’d also recommend that you attend events they sponsor or attend, engage in live and virtual conversation with them, but be careful not to be overly self-promoting. Bonus: this also helps you know if the content you’re sharing is meaningful. 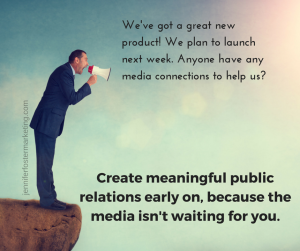 During prelaunch, very few companies have budget dollars for outsourced public and media relations and that’s okay, you can likely have a lot of success with a simple DIY model. Learning and understanding that the media you’re looking to reach aren’t thumbing through press releases to actively reach out to every new company. If you learn what they are looking for and where and how they talk about it, then, when you’re ready you’ll have strong connections of your own to leverage. Tweet me your successes or questions (or failures?) at @jrfoster75231. And go listen to that podcast! I’m a huge fan of having a series of customer success stories in your marketing plan. It is one of the first things I build for new clients because they are so flexible. They can easily show the benefits that your company or product has to offer and how you were able to meet or exceed the expectations of your customers. They can also help illustrate real-life problems that you’re solving, which, let’s face it, is the crux of good marketing. 1. The Customer’s Story The customer you select should be like customers you hope to reach. Generally, I use at least 3 different profiles. You could have more, but be careful not to get carried away with overly segmenting your audiences. 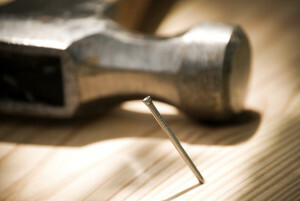 With a recent client who specialized in home improvements, we opted for 3: single female, family, and a senior couple. These groups have very distinct needs and visions when it comes to how they use their homes. Picking, and limiting, to three, allowed us to cover the topics that resonate with key decision-makers within their segmentation. 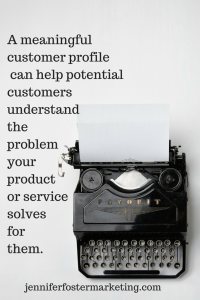 A meaningful customer profile can help potential customers understand how your product or service solves a problem for them. 2. Make the Story Interesting As a general rule, a better story comes from overcoming some sort of a challenge or obstacle. It’s what hooks us and makes us want to learn and hear more (and maybe even helps us cheer for the underdog). Don’t neglect a good hook — whether it’s a personal challenge for your customer or a challenge you had in meeting their expectation your reader will be more interested because of it. 3. Don’t Toot Your Own Horn This sounds counter intuitive, but you don’t want this to come off too “salesy” or you’ll lose your reader. Think of this as raising awareness for the entire industry — yes, that means your competitors. Profiles need to mostly be focused on education. Your story may have opportunity to include how you are different from your competitors, but it should be subtle. Feel free to conclude with an “About Us” paragraph or statement, maybe a call out box if you’re using some sort of a infographic. A collection of customer profiles can be great tools to have in your marketing collateral library. Making them meaningful and engaging will help them go even further. PS: Here’s a tip leverage your customer profile content to power up your social media. Taking quotes and snippets from your profile can be a great way to pull people into your web site or blog.